Sadly, these branded headphones do not fit Mickey's ears. Apple and Disney have come together to launch the special edition Beats wireless headphones adorned with images of the iconic Mickey Mouse. The occasion? The Mouse turns 90 this month. 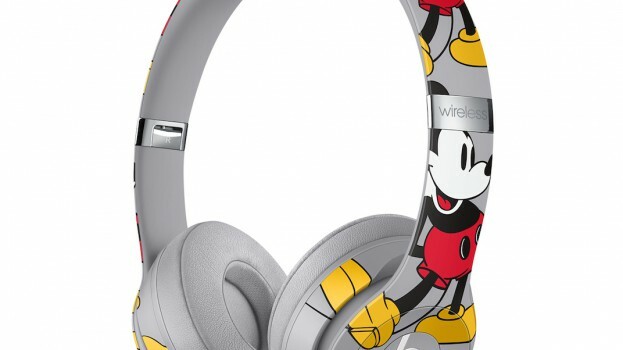 The grey headphones feature Mickey’s iconic pose as a graphic. It also comes with a grey felt carrying case, a collectible 90th anniversary pin and a decal sticker. Promoting the headphones is a 15-second online spot titled “Heritage 1928.” It starts with groovy background score and a WaltDisney quote: “It was all started by a Mouse.” The quote is then reworked to: “It was all started by music.” The video shows quick montages of Mickey’s evolution set music, while cutting to the graphic on the headphones. Yet another spot with a similar start features rapper Lil Yatchy rephrasing the Disney quote to “It was all started by a wake-up call” and posing for Polaroid shots with the headphones. Other spots include British singer-songwriter Anne-Marie, Chinese actress Zhou Dongyu and Japanese pop duo Amiaya. The headphones won’t hit shelves until Nov. 11, but they are already available for pre-order on Amazon at a cool $329.95. Ironically, we’re pretty sure they won’t fit Mickey’s ears.